Our true purpose is to revive “local” areas. With that accomplishment, we ourselves become rich and happy together with “local” people. Our company’s philosophy is to contribute to a sustainable society in the future by developing our land. Our dream is to take the depopulating area of Kito and revive the golden glare of Yuzu. 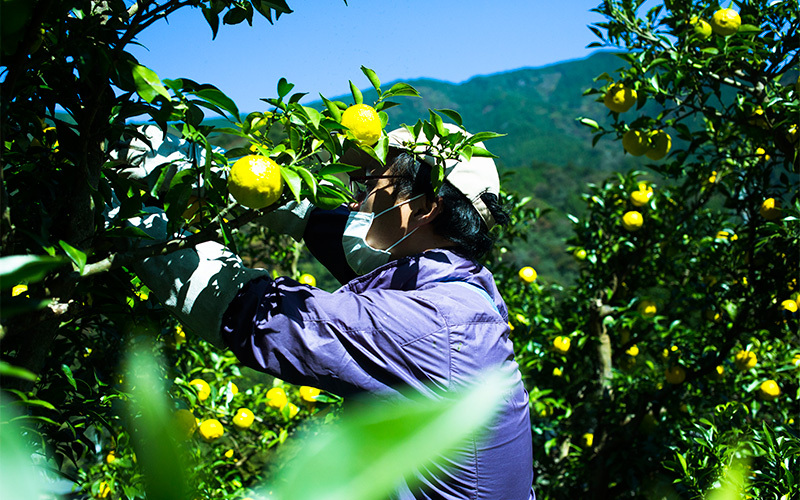 The Kito Area of Naka-cho has been cultivating Yuzu for many years. We would like to achieve affordable Kito Yuzu from our contracted farmers and our farms. Furthermore, we would like to contribute to the increase in the income level of local farmers and help educate the next generation. There are so many chances for primary sector industries in Japan. Primary sector industries have been protected by the government and as s a result areas such as production have fallen behind. plus Also with few competitors due to regulations, there is a lot of room for growth in the agricultural industry due to the opening of the market. Kito Yuzu has a lot of potential. Therefore, we are we are currently developing a lot of new products. Through our new products we hope to spread the charm of Kito Yuzu. 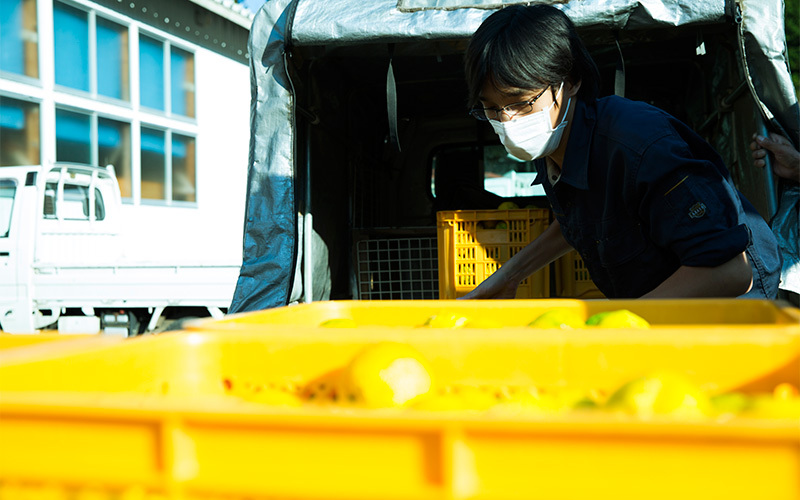 We are looking for chances to spread the seeds of possibilities to introduce Kito Yuzu to the world. We support those who wish to move to the countryside or return to the countryside to join our challenge. If that reflects your own feelings, please contact the company. We can show you around the Kito Area, show you the accommodation and the Yuzu farm and factories. For those anxious, please come to Kito, we have a great environment, one of the best in Japan. We are all willing to support you. Kito Yuzu was born in the Kito Area, a place abundant in nature featuring the Naka River and the second highest mountain in western Japan, Mt Tsurugi, a.k.a. the Tibet of Japan. The Asahi Agricultural Award was given to the best Yuzu in Japan, Kito Yuzu. Most of the Yuzu trees used in Japan are Kito Yuzu trees. For many years, Kito Yuzu has been loved and sought after by high-class Japanese restaurants due to its charming rich aroma and delicious sour taste. In autumn, the village is filled with the golden color of Kito Yuzu. It’s a beautiful scene… the Tibet of Shikoku. There you can see a sky full of stars. We would like to share this beauty with the people of the world. Copyright © Ougonnomura All Rights Reserved.